Hi to all you 13 and 16 Ft Skiff Sailors and welcome to the first of what we expect will be many “newsletters” updating you on all the good “stuff” leading up to the running of the 2017-2018 Australian 13’ & 16’ Skiff Championship between 1st and 7th January 2018. 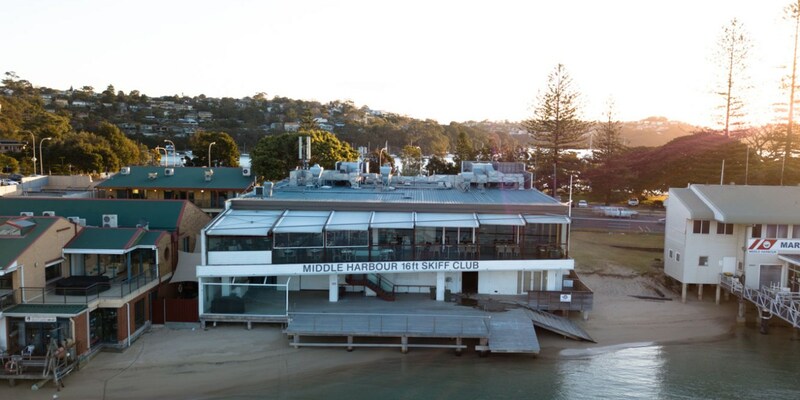 Middle Harbour 16’s would like to take this opportunity to invite all and every skiff to attend the regatta where we are certain everyone will have a great time with some very competitive racing and, just as importantly, a really social atmosphere! We understand that the Notice of Race will be posted in the not too distant future and in the meantime, we have been in touch with one of our Club sponsors with respect to accommodation in the area around the time of the Championship. The Apartment Service, who are located in Cremorne, are committed to offering the best in serviced and holiday accommodation and offer an array of apartments and houses across Sydney’s north shore. If you are looking for somewhere to stay please feel free to contact The Apartment Service on (02) 9953 7288 or visit their website www.apartmentservice.com.au and we are sure they will be able to help. The Club is working closely with both Mosman and Northern Beaches Councils with respect to car and trailer parking so please stay tuned to the Association website for further updates over the next few months and again, we look forward to welcoming you all to Middle Harbour 16’s for what will be a fantastic regatta series.